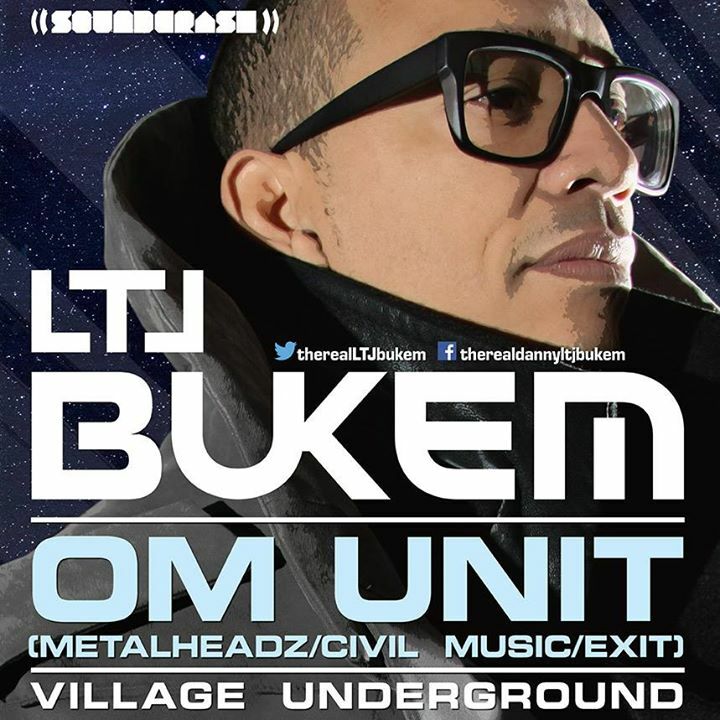 Soundcrash are exceptionally proud to announce a night of mind-altering drum & bass featuring legendary producer LTJ Bukem. “The godfather of jungle” will ignite the dance floor headlining Village Underground 21 August 2015 supported by the superb Om Unit. Emerging out of the late 80’s as a DJ, LTJ Bukem discovered his passion for drum and bass when exploring the realms of jazz fusion. So it’s natural that when Bukem’s career as a DJ progressed in the early 90‘s and he found himself delving into the studio, it was these frantic breakbeats in tandem with the melodic, yet almost awry basslines of jazz instrumentation that informed Bukem’s creations, developing a progressive and textured sound equal parts anthemic and tranquil. The album was titled ‘Logical Progression’ and marked Bukem as an innovator, a tag that has stuck through his work on his own esteemed Good Looking Records imprint, and still bears strong today as Bukem continues to DJ extensively across the globe under his ‘Progression Session’ banner. Om Unit is the alias of Jim Coles. Producing since his early teens, he started with jungle before graduating via the world of turntablism under the 2tall moniker and representing the UK in the DMC world DJ championships. Om Unit has established himself as one of the most consistent and original artists in the electronic sphere. With a solid foundation established through hard work and sticking to his guns amid a dance music scene obsessed with shallow revivals and trends, Om Unit is no stranger to making bold statements with the works he produces, both as a solo producer and with his various collaborative works alongside some of the most respected producers and labels around. Catapulting you through the various sonic sphere's of electronic music, two of the most respected and hard working members of the bass music community come together for what promises to be another truly memorable show at the Village Underground. With Super Early Bird tickets available for those of you who act fast! There's no excuses for missing this one!